I don't really know why. If a illegal parking is treated the same, no matter which part of the Borough it might occur, than I would have thought that no one could have grounds for complaint. It's not just Blackburn Rd. In Gt Harwood I am sure that double yellow lines must mean something different than what they do in the rest of the Borough. that sums it up bernard, if peter is treated same as paul, much less problems n annoyance. More traffic on the road Cashy, and more paper work .. probably won't stop you now until both lights have gone...'cept, of course, if they suspect something else like a drinking offence. That is not completely the case. Obstruction is still down to the Police. The police would only be involved with obstruction if affecting moving traffic, like if someone parked across the middle of the road, etc., or as per Accyman's post someone blocking the entrance to a property. Blooming hek Jaysay, you are going back a bit there .. if you look at the Blackburn and Darwen B.C. 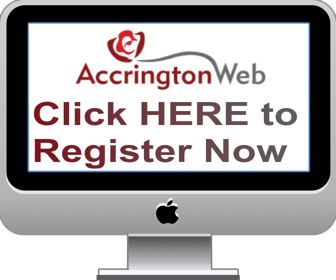 's website, they took over parking problems from the Lancashire police in October, 2004. First paragraph. yeh but it makes goverment figures look good, reason being most people can't be assed to report stuff. I was attending an emergency appointment on a Friday afternoon, the ticket was issued by a traffic cop, I was actually admitted and spent 2 weeks on the ward." Is it still parked there? Illegal parking doesnt just apply where yellow lines are present though does it? Double parking, parking in a bus bay, on zig zags, less than 15 feet from a corner, parking on the footpath, too far away from a kerb, just to cover one area, Dill Hall Lane is now a single track road in places because of double parking, with 2 wheels on the kerb, with many lost wing mirrors over recent months to show for it!